There won't be any F-22 stealth fighters at the Paris Air Show this month. U.S. officials are still concerned about intelligence-gathering, passed off as French customs inspections. That happened before when the F-117 was displayed overseas. 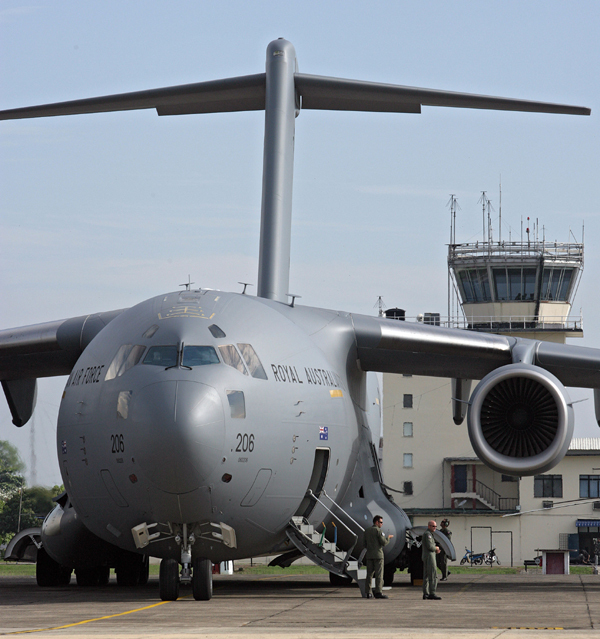 On one occasion, the aircraft was routed over several French military establishments for electronic intelligence gathering. However, the Raptor is going to Hawaii. A dozen of the aircraft will form the first F-22 Raptor unit, led by and primarily staffed with Air National Guardsmen. 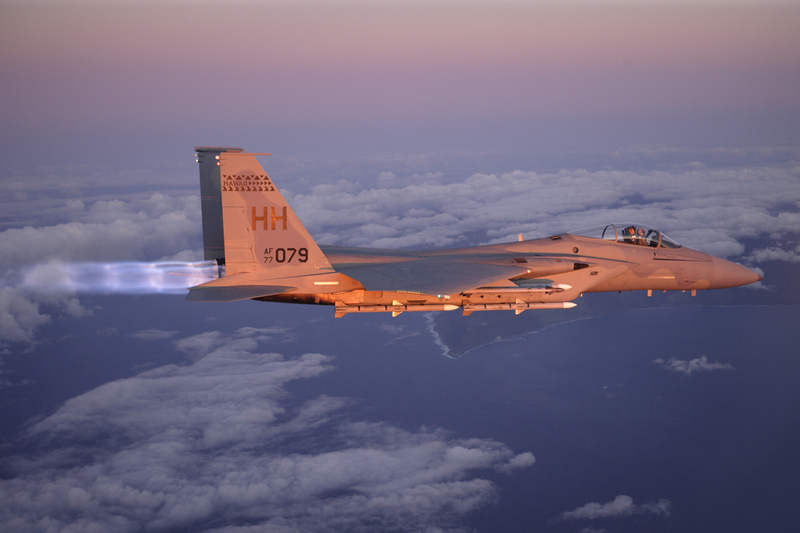 The squadron, part of the Hickam-based 154th wing, will start training its aircrews in 2010 and begin receiving its stealth fighters –- and giving up its F-15s -- in 2011 as it becomes the seventh operational F-22 unit. Okay, I know I'm really late getting to this, and other places have already shown it, but I just watched it today and it's VERY cool. It's video from the the recent F-22 Raptor appearance at the air show at Langley AFB. The most amazing part about this demonstration is the thrust vectoring. It allows the F-22 to make turns that look physically impossible. Inertia should carry it on further, but the Raptor is able to cut the corner. Just rolled out the flying prototypes of two new military aircraft from Kawasaki Heavy Industries, the P-X maritime patrol aircraft and the C-X airlifter. First flights are due this year, with service entry in the early 2010s. Specifications released last year are about as much detail as has been given about the aircraft. The C-X (left) is in about the same class as the Airbus A400M, but with two GE CF6-80 turbofans instead of four propellers. This makes it faster in the cruise but requires higher landing and take-off speeds and more installed thrust -- both driven by the need to keep the aircraft flying with the cockpit windows facing forward when one of the engines quits. Quoted take-off and landing distances are a not-quite-tactical 7500-7800 feet. Efforts by a group of NATO nations to establish a multinational strategic airlift command (SAC) that will operate three NATO-owned Boeing C-17 military transport aircraft have hit a possible snag. The snag, it seems, can only be solved by lawyers, as it is the possible legal liabilities of transporting personnel (and critical cargo) into and out of war zones that is keeping officials awake in the 13 NATO nations (plus Sweden) who are backing the initiative. According to sources in the NATO headquarters in Brussels, the issue of legal liability was raised by a number of NATO nations. They point to an incident in May 2003 when a Ukrainian-operated Yak-42 airliner, chartered by the NATO Maintenance & Supply Agency (Namsa) to fly Spanish troops home from Afghanistan, crashed in Turkey, killing 62 Spanish soldiers plus the crew. "At the time, Spain seriously considered suing NATO -- that type of liability is what the nations who are not in the SAC initiative want to prevent," an official says. 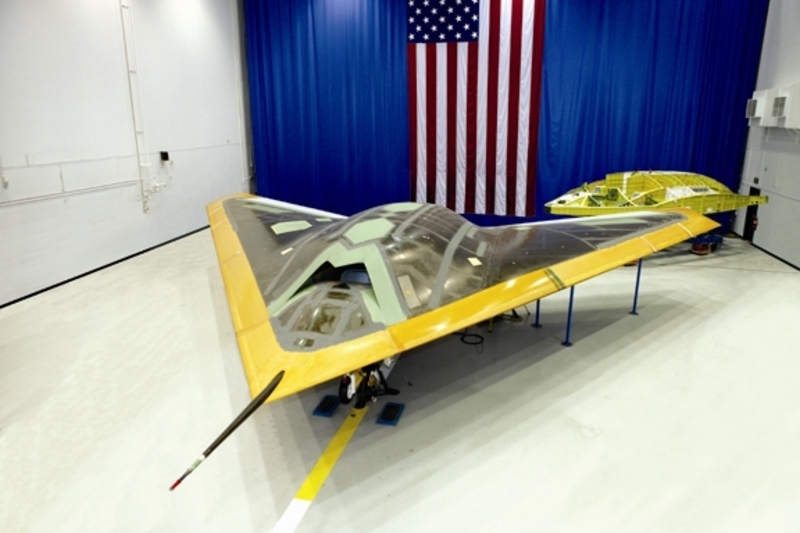 This exclusive first picture of the only Boeing X-45C built, shows its 49.5-foot wingspan and a number of antennas on its wings and fuselage. The very low observable design was built for penetrating heavy air defense to get to precision-bombed, high-value targets. Whether you call it meddling or injecting creativity into a hidebound bureaucracy, Congressional earmarks can have some interesting results. Witness the Piasecki-Sikorsky X-49A compound helicopter, now complete and being prepared for flight tests. A compound helicopter is simply a helicopter with added wings and a forward propulsion system. They enjoyed a brief popularity in the 1960s, and one of the leading companies in the field was Piasecki, founded by Frank Piasecki, rotorcraft pioneer and father of the CH-47. The Piasecki company has revived its 1960s approach, which uses a single ducted propulsor to provide anti-torque control in the hover and forward thrust. Lockheed Martin successfully dropped an MK-54 torpedo from a P-3 aircraft flying at 8,000 feet. 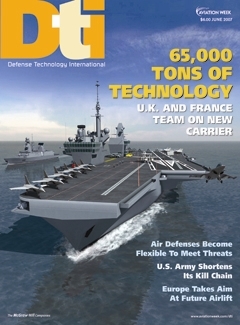 The test was part of the company's $3 million U.S. Navy contract to prove the High-Altitude Anti-Submarine Warfare Weapons Concept, or HAAWC . The HAAWC concept uses Lockheed Martin's LongShot wing adapter kit to give the torpedo a range well in excess of 10 nautical miles, which keeps the aircraft out of harm's way. Lockheed Martin says the concept also enables "off axis" torpedo launches so the aircraft doesn't have to manuever. 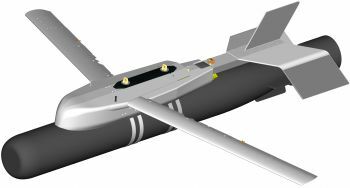 The Longshot can be used to extend the range and provide autonomous guidance to air-to-surface munitions including sea mines, dumb bombs, laser-guided bombs and tactical munitions dispensers. 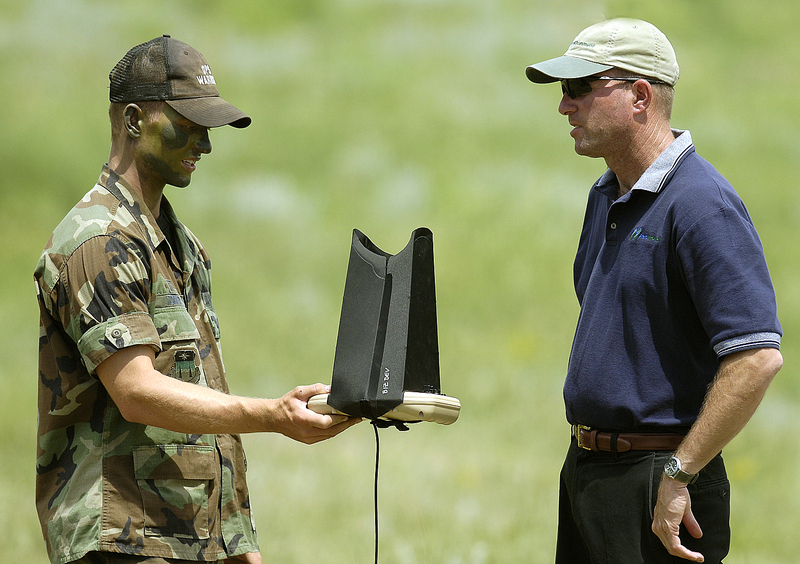 In an interview for DTI's The Cutting Edge column last fall, Alan Jackson, the company's HAAWC program director, said the wing kit could eventually enable bomb damage assessment and deployment of sea mines and sonobuoys. The wing kit costs about $100,000 a copy and has been tested by the Air Force for delivering the MK-83 1,000 pound and laser-guided bombs, as well as CBU-87 tactical munitions dispensers on F-16 aircraft. "The target is between the two white buildings with the red roofs." Former USAF chief of staff John Jumper liked to cite this as an example of what was wrong with close air support (CAS) in Bosnia. The message is clear as day to the Predator operator with a soda-straw view of the ground, and less so to the jet pilot looking at a sea of white, red-roofed houses.